Bring the Kids provides event childcare for weddings, corporate conferences, and other special occasions. As a host, you no longer have to worry about your guests not being able to attend your party because they cannot find a babysitter. Catering to a wide range of ages, Bring the Kids imparts dependable, safe, and fun childcare services that parents can sign up for when RSVP’ing to an event. Problem: Bring the Kids needs a way for their staff to quickly check children in and out of events as well as an easy way for parents to register their child. 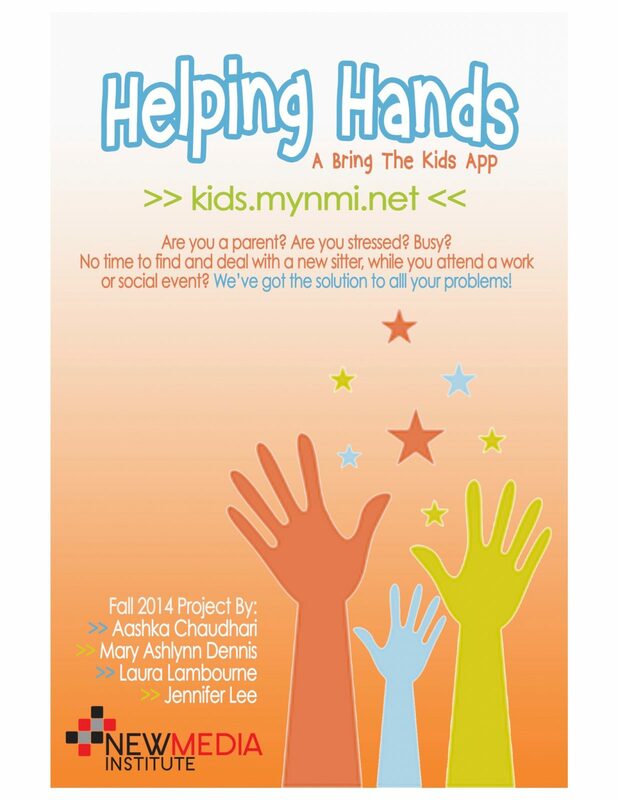 Helping Hands is a web application sponsored by Bring the Kids that will allow parents to create a profile for their child when signing up for their first event. The web application will not only be useful for parents but also for Bring the Kids staff. Bring the Kids caretakers will be able to easily and safely check in and check out a child attending an event. The staff will also be able to send personal messages to parents, updating them on the status of their children. The main goal of Helping Hands is to make the process of checking a child in and out of an event as quickly and securely as possible, so parents can enjoy their event worry-free.